The election for the Chairman will be held during the next Council session. Hyderabad: Discussions have started in TRS circles over the next Chairman of the Legislative Council after the term of Mr K. Swamy Goud ended on Friday. The most likely replacement could be Council Deputy Chairman Neti Vidyasagar Rao. He joined the TRS from the Congress long back. He belongs to the Munnuru Kapu community, a dominant caste, which has no representation in the Cabinet. The other two likely candidates are former deputy chief minister Kadiam Srihari and former Assembly Speaker K.R. Suresh Reddy. After Mr Suresh Reddy joined the TRS from the Congress during the recent Assembly elections, party circles thought that he may be made Council Chairman. 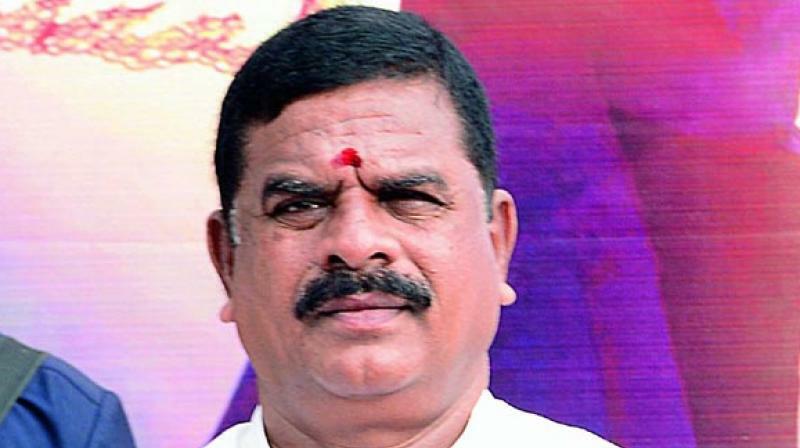 After the polls, Mr Pocharam Srinivas Reddy was made Assembly Speaker. This could affect Mr Suresh Reddy’s chances since they both belong to the same caste and the same district, Nizamabad. Mr Srihari won the 2014 Lok Sabha elections from Warangal. He was later made MLC and inducted into the Cabinet as Deputy Chief Minister. He did not get a ministerial berth this time. TRS sources said Mr Srihari had asked for the Warangal Lok Sabha seat for himself and the MLC seat for his daughter but was turned down. He could, therefore, be in the running for the Council Chairman. The election for the Council Chairman will be held during the next Council session. In the Legislative Council, the Congress and the BJP have single members. Congress MLCs Ponguleti Sudhakar Reddy and Shabbir Ali completed their term on Friday. The lone BJP MLC, Mr N. Ramachandra Rao, has two years left in his tenure. The MIM has two members. From the Congress, Mr T. Jeevan Reddy was recently elected MLC from the Karimnagar graduates constituency. One each were elected from the UTF and the PRTU. All the other MLCs belong to the TRS.